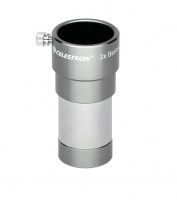 Barlow lenses offer an easy, economical way to increase the magnification range of your eyepieces, and Celestron carries a number of these highly useful lenses. A Barlow lens doubles the magnifying power of your eyepiece by doubling its effective focal length. 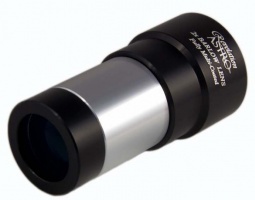 A very handy, high quality x2 barlow lens which doubles up as a T adaptor for SLR astro imaging. Why buy 2 items when you can get both in 1 package! Antares x2 Achro Barlow Lens 1.25"
High quality x2 short achro barlow lens 1.25". 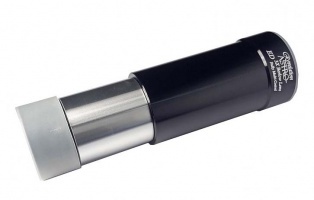 Ideal for starter telescopes wanting to increase magnification without the outlay of eyepieces. Revelation Astro 2.5x Barlow Lens 1.25"
A 1.25" high quality 2.5x three element apochromatic Barlow lens ideal for visual and imaging applications. Fully multi coated optics with air spaced design optics. Revelation Astro 3x ED Barlow Lens 1.25"
If you own a telescope and are craving more power - especially when it comes to Lunar and Planetary observations, the look no further than the Revelation Astro 3x ED Barlow Lens. Antares x2 Achromat FMC Barlow Lens 1.25"
A high quality, full mutli coated x2 barlow lens. Achromat lens for superb image quality. 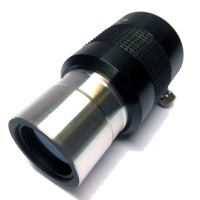 Increases the focal length by x2 for higher magnification observing ideal for the moon and planets.